The 2019 Porsche 911 offers powerful engine options and many luxury features. Each model in the lineup offers something different, making it easy for Menlo Park drivers to find a version of the Porsche 911 that they love. Read below for more information on the Porsche 911 price for each of these 2019 models. How Much Does a Porsche 911 Cost? No matter which Porsche 911 you choose, you’ll experience a comfortable and entertaining driving experience. Each model provides a variety of high-end interior features and strong engines. Even with the Porsche 911 Carrera base model, you’ll get a 3.0 L 6-cylinder engine that generates 370 hp and a selection of premium cabin amenities, including a rearview camera and dual-zone automatic climate control. Experience the power of the Porsche 911 for yourself. 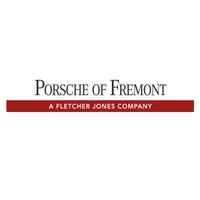 Contact us at Porsche Fremont to schedule a test drive with any of the above Porsche 911 models today!